Whether you are making 100 mL or 100 L, the same steps apply to media preparation. Eliminate time consuming steps from weighing and autoclaving to pouring and dispensing with the convenience of ready-prepared media. Let us help you free up valuable time and labour in your lab. Isolate, identify, differentiate, and perform susceptibility testing on plated media from the experts in microbiological media. With thousands of quality assured formulations and formats available, you're sure to find what you're looking for whether it's routine, specialty, or a custom blend somewhere in between. 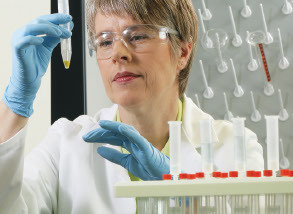 Prepared bottled media is used in both clinical and industrial microbiology settings. Browse our complete selection right here to find a wide variety of fill volumes, bottle sizes, caps, and containers to suit your need. When conditions call for a tube, we've got it. When delicate aerobic or anaerobic conditions are called for or when you're looking to isolate and study a specific reaction, a tube of one of the world's favorite brands of prepared media is right here ready for you. Prepared media in bags is a convenient option for microbiology laboratories that require liquid media in an easy to use format in large volumes. Media fills play a critical role in validating aseptic manufacturing processes. Reduce the burden of media fills with ready-to-use culture media in BioProcess containers with plug and play connectors for easy integration. Have confidence in your cleanroom or isolator by minimising risk with our contact and settle plates. With a variety of formulations to choose from, in both irradiated and non-irradiated formats, finding what you need to monitor and control your environment can begin right here. Detect microbial contamination or determine bacterial counts in clinical specimens with easy-to-use, easy-to-read dip slides. Make colony counting easier when lab facilities are limited, and decrease the time between collection and inoculation to increase recovery and accuracy.